The official website for Uchiage Hanabi, Shita kara Miru ka? Yoko kara Miru ka? (Fireworks, Should We See it from the Side or the Bottom? ), the anime film adaptation of director Shunji Iwai's 1993 live-action drama of the same name, began streaming the third trailer for the film on Monday. A press event also screened the trailer and revealed on Tuesday that the film will be distributed in 110 countries and regions. Last edited by WTK; 03-15-2018, 05:12 PM. 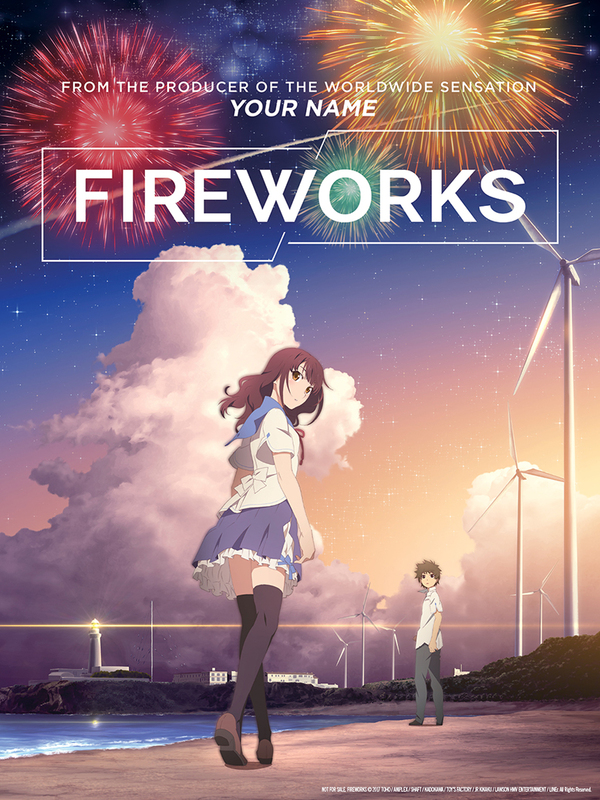 GKIDS is proud to announce the acquisition of FIREWORKS, the newest film from the producer of YOUR NAME. Coming this summer! GKIDS has acquired North American distribution rights to romantic sci-fi/fantasy feature Fireworks, the highest grossing film to date from studio Shaft. The Japanese production?s pedigreed creative team is lead by director Nobuyuki Takeuchi, general director Akiyuki Shinbo, and producer Genki Kawamura (Your Name.) GKIDS is planning a summer release. The deal was negotiated by Eric Beckman of GKIDS and Rui Machida at Toho Co., Ltd.
GKids is becoming another one of my favorite Anime distributors. At a time when a lot of Anime isn't being done so much here on the NYC area, it's pleasing to see another distributor taking action. Granted they are mostly into international films, but still I applaud this. Especially if it means NYAV Post continues to get work dubbing movies like these. Select screenings will have English dub. Cast list will be announced soon: https://twitter.com/GKIDSfilms/statu...80217568874496. While Supplies Last, Orders From ShoutFactory.com Will Receive This Exclusive Lithograph!